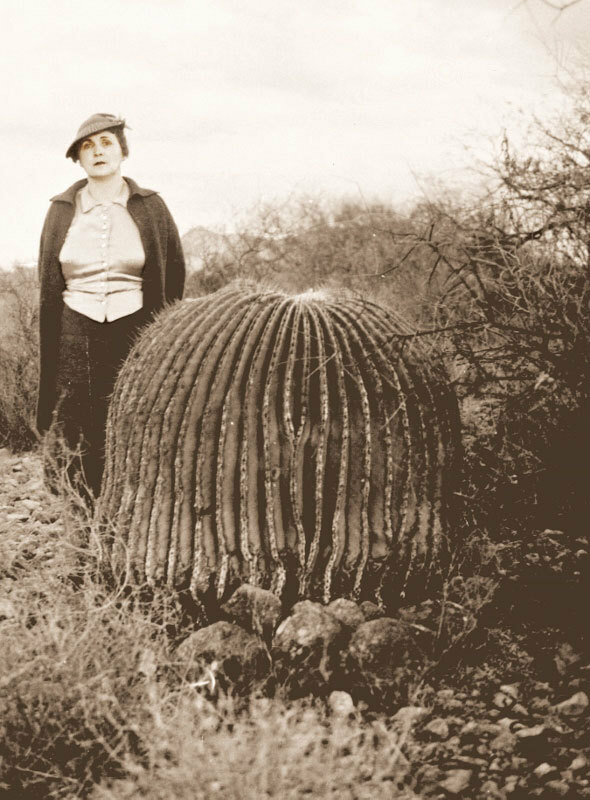 Wealthy Northeastern socialite Gertrude Webster seemed to delight in defying class and gender stereotypes as she worked tirelessly to "Save the Desert" by taking charge of the Arizona Cactus and Native Flora Society (ACNFS)--now known as the Desert Botanical Garden. Founded in 1934 by native plant enthusiast Gustaf Starck, the ACNFS was comprised of individuals offering great passion, but little in the way of financial resources. Enter Gertrude Webster, an affluent Easterner who had come to love the wonderfully exotic indigenous flora of the Sonoran Desert. Webster's deep pockets and dominant leadership style guided the then-floundering organization to long-term success, albeit at the expense of more than a few bruised egos. Despite her sometimes brash nature, Webster was a well-meaning benefactor whose generosity has been memorialized in the naming of the National Registered-listed Webster Auditorium. The building, an adobe structure that stands on the grounds of the Desert Botanical Garden to this day, was financed by Webster, who also oversaw every excruciating detail of its construction - much to the chagrin of the contractor tasked with its erection. Early Signage: Gertrude Webster assumed control of the Arizona Cactus and Native Flora Society and oversaw its transformation to the well-respected institution today known as the Desert Botanical Garden. Image courtesy of Schilling Library Archives, Desert Botanical Garden. ~ Source: Schilling Library Archives, Desert Botanical Garden. 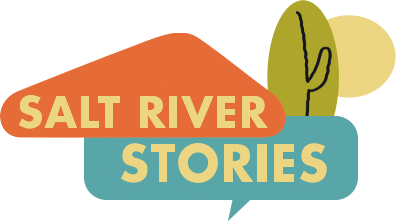 This recording is an present-day interpretation of how Gertrude Webster might have described her role in the Desert Botanical Garden's success, based upon research conducted in the DBG archives. Narrated by Nancy Welch. John Larsen Southard, “Gertrude Webster, Garden Booster,” Salt River Stories, accessed April 20, 2019, https://saltriverstories.org/items/show/37.